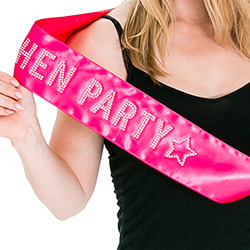 We have all kinds of similar products available on this website but this particular hot pink hen party sash really is a cut above the rest. 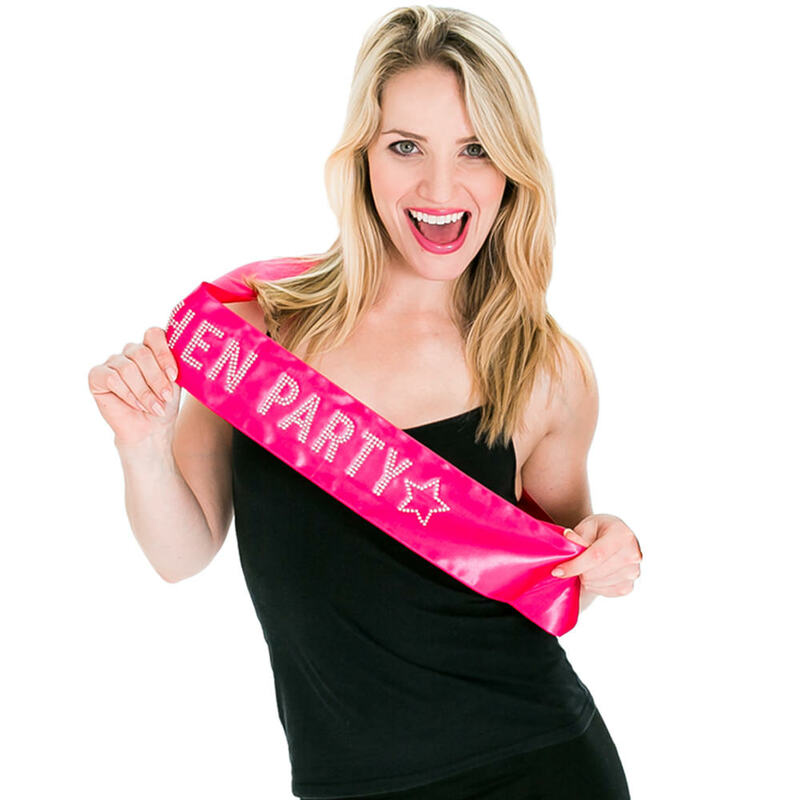 The superior quality of this item is perfectly demonstrated with the diamante design which really stand out against the bright colour of the material. 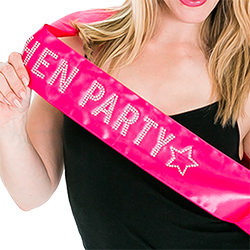 Getting your group into the party spirit couldn't be easier than supplying them all with one of these amazing items, why not kit them all out with a diamante hen party transfer too? 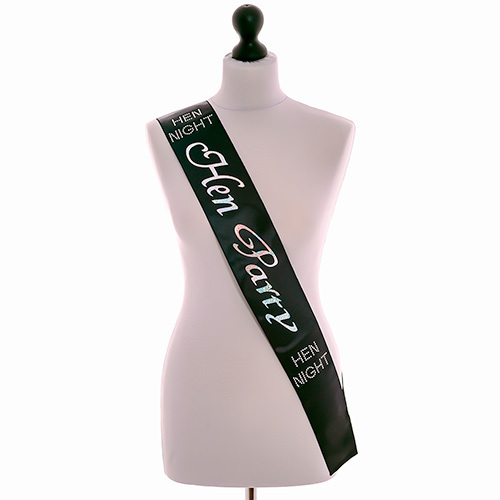 That would really make the girls stand out. 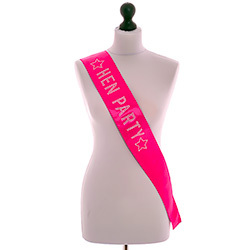 A hot pink hen party sash with diamante design is the ultimate in fancy dress accessories for these kind of celebrations. 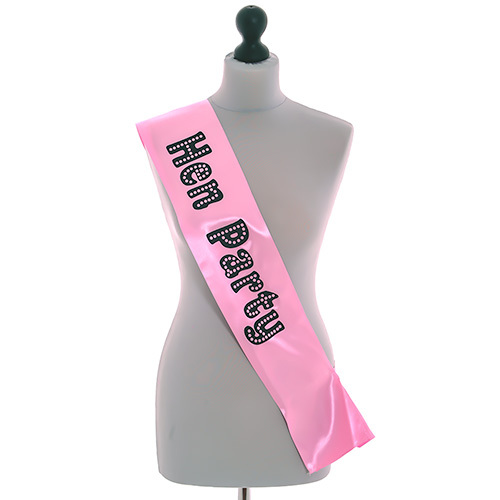 The group are sure to look the part when they're wearing these top quality items.